Wales’ U21 Final Squad Announced Ahead of World Youth Cup Qualifiers. Welsh Netball has announced the final twelve players who will represent Wales at this year’s Netball Europe Youth Championships 2016. 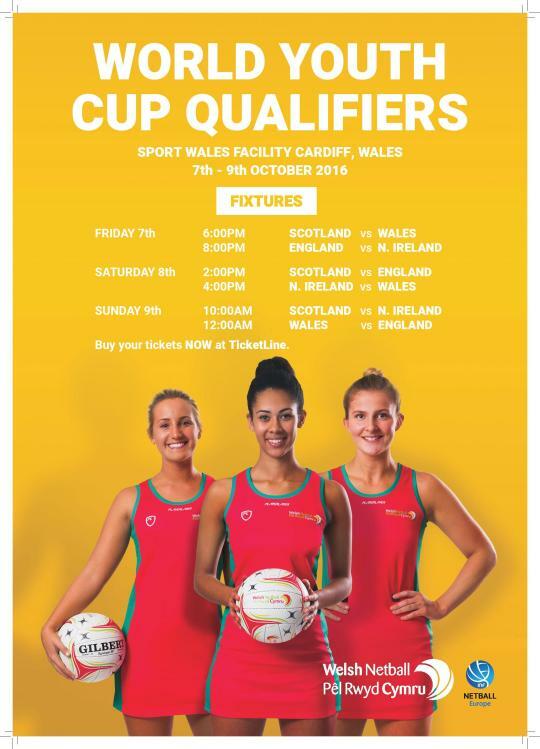 These Championships are also Netball Europe’s World Youth Cup qualifying matches. England, Northern Ireland, Scotland and Wales will all be securing their place at the 2017 Netball World Youth Cup held in Botswana.